The Feast of Words continues. Today we move into dessert, and the fullness of reflection. Like a good meal, gratitude fills and slows to show us all we have, hold, love. Today's poem is from Allyson Whipple. "I wrote this poem," she explains, "after a friend brought me some mangoes and taught me how to remove the pits in a way that would not damage them, so that they could be planted. I spent much of 2012 dealing with the loss of a good friend, and the simple act of paring a mango and then preparing the seed for planting was a sort of lightbulb moment, realizing the way good things endured. From the destruction of a piece of fruit came nourishment for myself, as well as the potential for a new mango tree. . . the poem comes from a grateful spirit — grateful for a friend, for fruit, for the reminder of what endures." 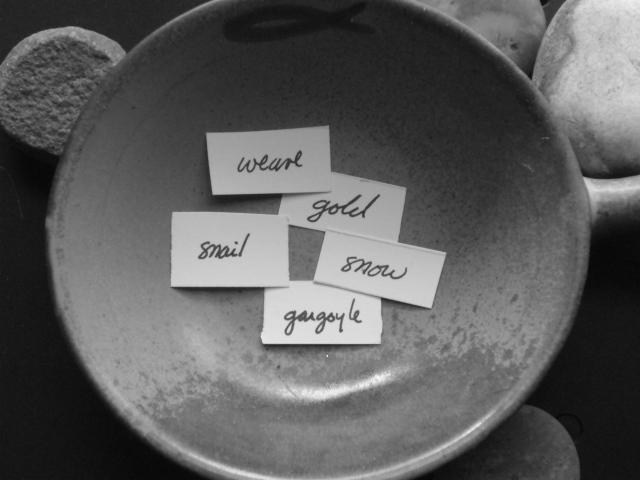 Our annual Feast of Words celebrates the power of gratitude through words. Thank you — friends, family, readers & writers, for offering your heart, your words. Thank you for taking the time to savor and share.